The awards celebrate menus with more healthy options giving people the chance to make better, healthier choices when picking a meal. 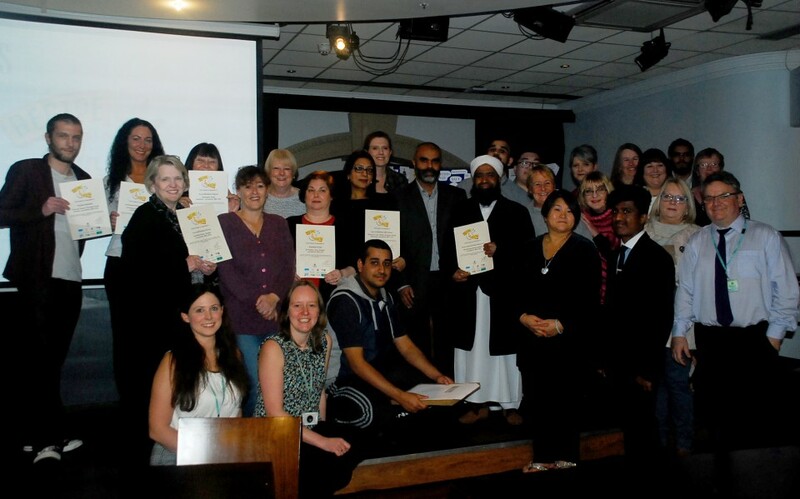 A total of 28 new places achieved the accreditation at a ceremony at Blakey’s in Blackburn. More than 250 places in Blackburn with Darwen now hold the award. The Recipe 4 Health campaign is going from strength to strength and is a great way to promote healthy eating and smart food choices all across the borough. Precious Moments, Darwen, Royal Blackburn Hospital, William Hopwood Court, Turncroft Nursery, Darwen, Age UK, Postal Order, The Big Sandwich, Bridge Café and Coffee Lounge, Greggs, Shadsworth Infant School, Essence, Lees Cantonese, Darwen Vale School and Studio, Dolce, Yang Seng and Brookhouse Primary School. Also: Shad House, Waheeds, Victoria Hotel, Barnabas Nursery, Rainbows Nursery, Mangiamos, Curry Palace, Bradley’s Sandwich Shop, Yeung Sing, Jo’s Little Sandwich Shop, Buxton’s Bakery and Mega Bite.